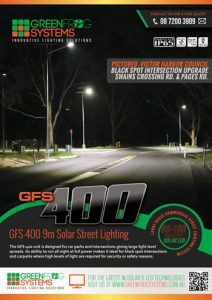 Wagga Wagga Council approached Green Frog Systems to design a solar street lighting system for the Lake Albert car park and Boat ramp. With Wagga Wagga council being one of Australia’s leaders in the uptake of sustainable energy technology, their first choice was a Solar lighting solution. A total of 15 x 30ft high GFS-400 Solar Street Lights with a fully certified lighting plan supplied by Steve Rose and Associates. 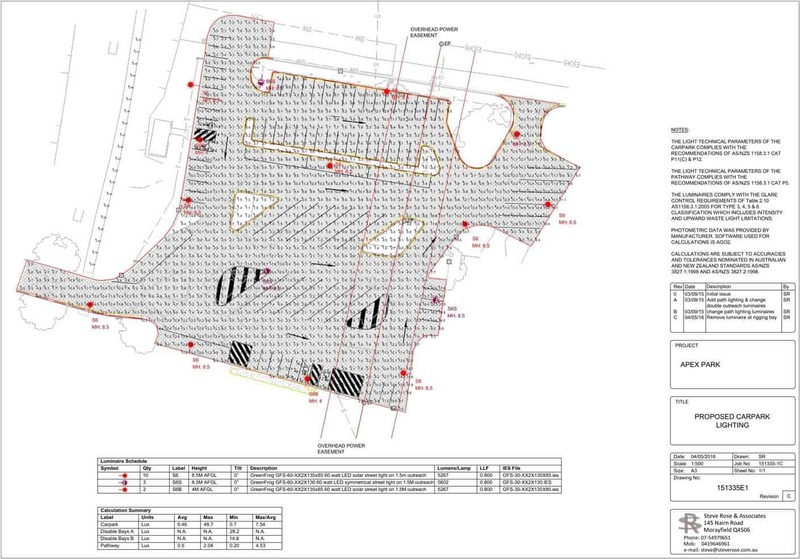 Wagga Wagga was easily able to follow the detailed Auto cad plans to locate the lights, and the detailed simple DIY instructions to install the lights. A certified additional support cage was needed to support the pole in the poor clay based soil. The unit is designed to operate in any weather conditions at full brightness all night long, all year round.